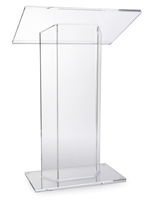 Traditional Acrylic Lectern With Low Shipping Costs! 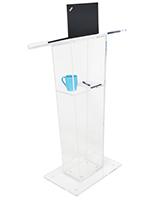 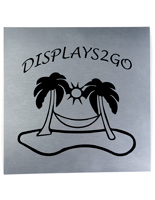 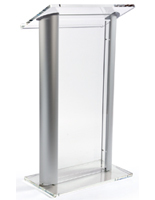 This great looking clear acrylic lectern will be perfect for any location. 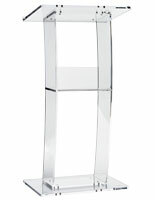 Standing 47.5" tall it features solid acrylic construction with polished edges and silver hardware. 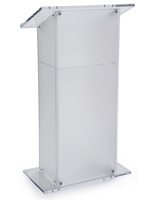 The spacious angled reading surface measures 26.75"w x 15"d, which is large enough for an open three ring binder. 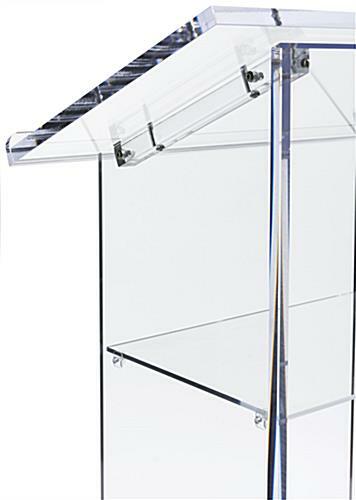 Made from 3/4" thick clear acrylic, the angled reading surface also has a 3/4"h lip to keeps notes from sliding off. 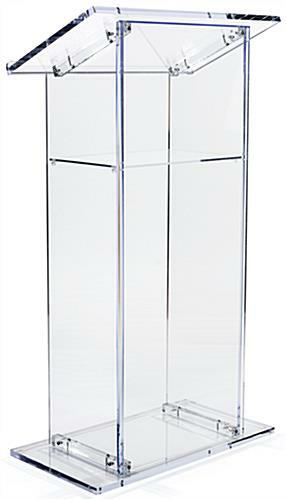 The sturdy 3/4" thick base (26.75"w x 14.75"d) has four clear rubber feet that protect the floor and base from scratching. 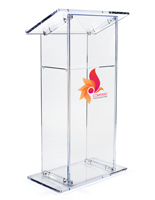 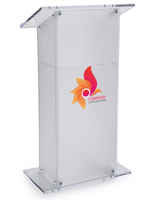 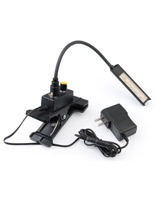 The 18.75"w body of this lectern is constructed from three pieces of 1/2" thick acrylic. 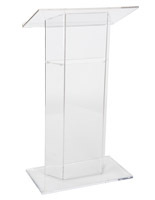 To keep shipping costs down this lectern ships unassembled. 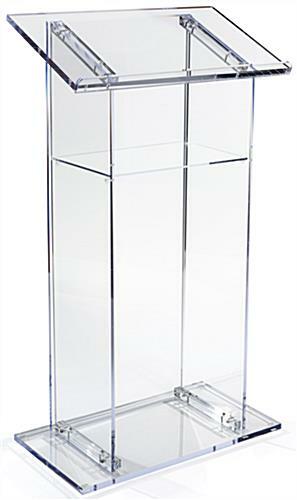 All hardware necessary for assembly is included.